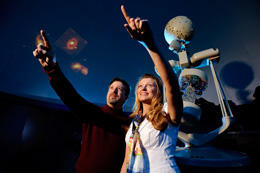 Astronomy Professor Mike Brotherton and recent graduate student Sabrina Cales enjoy images at the UW planetarium. The University of Wyoming’s newly renovated planetarium re-opens this week following an extensive renovation. Almost all of the planetarium’s 1960’s technology has been replaced with state-of-the-art digital equipment. UW astronomer Danny Dale says the old set-up was limited to a two-dimensional view of the stars from Earth. “It was pretty cool with that technology where you could rotate the ball and say here is what the sky looks like from, say, the North Pole or here is what it will look like in a hundred years. [But] that’s the sort of thing you were limited to,” he says. Now, Dale says visitors can zoom through far-away galaxies or see the dark side of the moon. The planetarium was originally built in 1969. This is the first major renovation since 2000. Construction began last spring with a $1.25 million gift provided by the Windy Ridge Foundation, along with a $350,000 contribution by UW. The facility is now named the Harry C. Vaughn UW Planetarium. 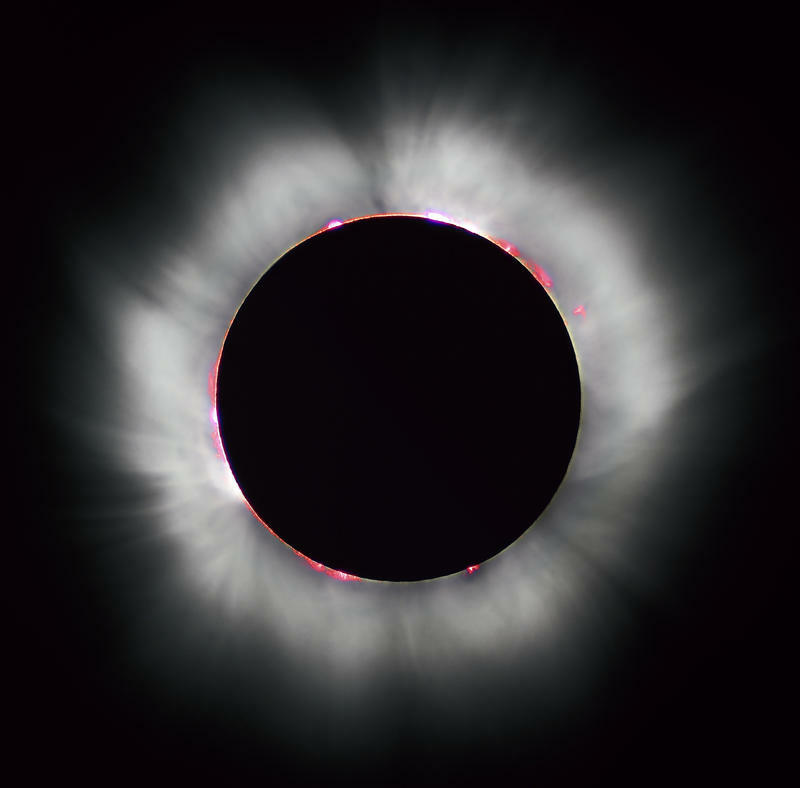 The city of Casper will become the national headquarters for a rare total solar eclipse in the summer of 2017. The event is expected to temporarily double the city’s population. That’s because Casper will be in the middle of the path of the moon’s shadow, which will enter the US in Oregon, cut a swath across the width of the country, exiting in South Carolina. 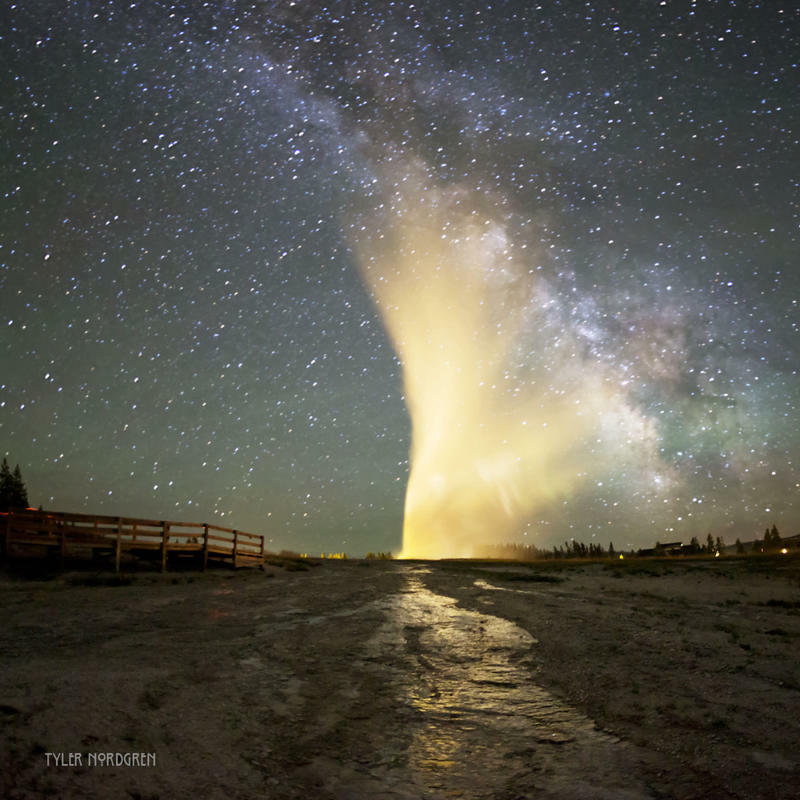 What Can You See In Wyoming's Night Sky?